In 1999, the City of Santa Clara renamed its Children’s Theater to the Roberta Jones Junior Theatre, opened the skate park off San Tomas Expressway and Cabrillo Avenue and established the Neighborhood Enhancement Committee. Nationally, Santa Clara University alumnus Brandi Chastain scored the game winning penalty kick against China in the FIFA Women’s World Cup final and Santa Clara Vanguard tied with the Blue Devils (Concord, Calif.) to bring home a Drum Corps International (DCI) Championship in Madison, Wis. with its show, Inventions for a New Millennium. 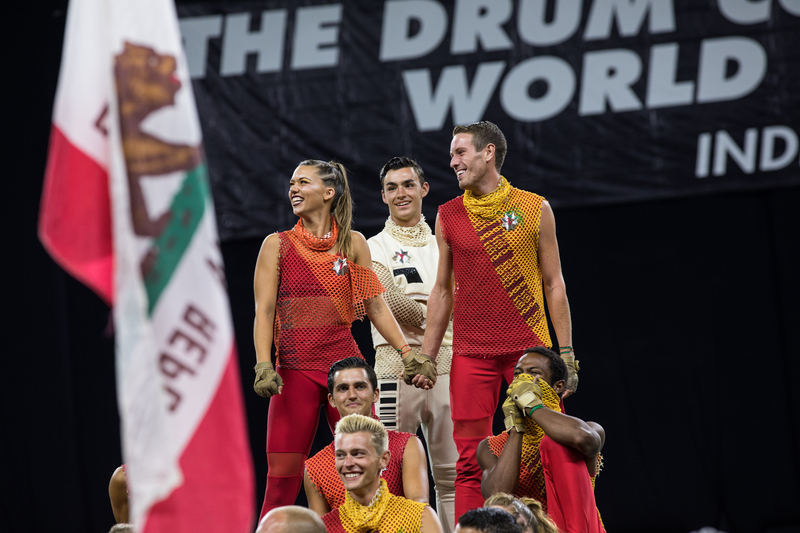 Almost 20 years after that first place tie and almost 30 years since Vanguard was the sole victor, Vanguard Music and Performing Arts’ Santa Clara Vanguard returned to the podium when it was crowned the 2018 DCI World Class Champion at the DCI World Championships in Indianapolis, Ind. on Aug. 11. With a final score of 98.625, Vanguard’s 2018 show, Babylon, which explores human connection and the transcendent power to move beyond language through a repertoire including My Body is a Cage by Peter Gabriel, Journey to the Center of the Earth by Peter Graham, Metropolis 1927 by Graham, Apology by Zacarias M. di la Riva and Club Sound by Gent and Jawns, Vanguard beat out the Blue Devils’ score of 97.350 for the win. Much has changed within the sport over the course of nearly two decades. At one time corps members simply hit their mark, often running, to complete formations on the field while color guard members swirled flags and spun rifles in the air. In recent years, however, the sport has taken a drastic turn. While the corps continues its clean lines and impeccable musicality, and both flags and rifles are still an integral part of the guard, the newest incarnation of drum corps includes dynamic moves and dancing from both the corps and guard, requiring an immense level of energy and skill. Gone — at least temporarily — are Vanguard’s signature red shirts and white feathered green hats in favor of a more contemporary look, and after a disappointing fifth place finish in 2015, Vanguard has found itself even more committed to consistently increasing the athleticism of the corps and entertainment value of its shows. The corps placed fourth in 2016 before revamping its uniforms and missing first place in 2017 by just under a point. 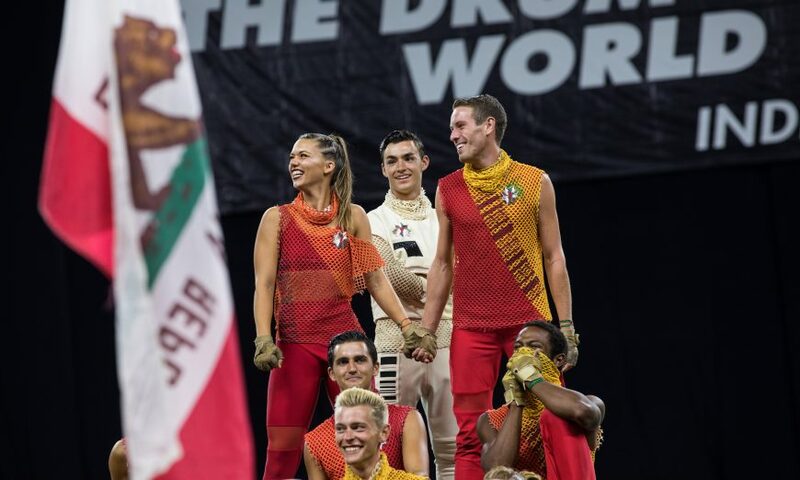 Santa Clara Vanguard has often found itself leaving the DCI Championships empty-handed while the Vanguard Cadets have won the DCI Open Class Division three of the past five years (2013-2017). This year, though, proved to be a complete Vanguard Music and Performing Arts sweep as the Vanguard Cadets picked up its second straight Open Class win with its 2018 show, Off The Wall, with its repertoire including Bicycle Race by Freddie Mercury, Sounding Board by Fred Smith and Ray Adamsons, Fly to Paradise by Eric Whitacre and Rebound by Smith and Adamsons. It is first time in history Vanguard Music and Performing Arts has won both the World and Open Class Divisions. Additionally, Vanguard Cadet Corps Director Steve Barnhill and Vanguard Corps Director Shaun Gallant were named Director of the Year for their respective classes, volunteer Stephenie Herbert was recognized as the 2018 DCI Volunteer of the Year, SCV’s Horn Sergeant Stone Wang received the 2018 Richardson Music Scholarship and Cameron Cavender, Nick Arnaud, Skyler MacKinnon, Leo Garcia and Josh Hirner received 2018 Individual and Ensemble awards. Been waiting 19 years for this year. I was Corps Director with the Watkins Glen Squires in the 70s. I have been watching SVG as if I had somebody in the corps. This year I made it a point to read the score sheets & watch the corps every time I could. I told my wife about 4 weeks out that this was the year. The body language & the true respect among the members said we’re hear to win. Congrats…Can’t wait to y’all get back to TX. I hope to see a back-to-back Champion with a final score in the 99.0 plus!